Windows Server 2019 Preview Build 17709. First Preview of new Hyper-V Server. Windows Server 2019 Insider Preview Build 17709 contains the first preview of Microsoft Hyper-V Server. Click here to see the full list of new functionality introduced in earlier builds of Windows Server. Group Managed Service Accounts We've improved the scalability and reliability of containers that use group managed service accounts (gMSA) to access network resources. You should see fewer authentication errors when using a single gMSA with multiple container instances. Additionally, you no longer need to set the container's host name to be the same as the gMSA. We also fixed a bug that prevented you from using gMSAs with Hyper-V isolated containers. 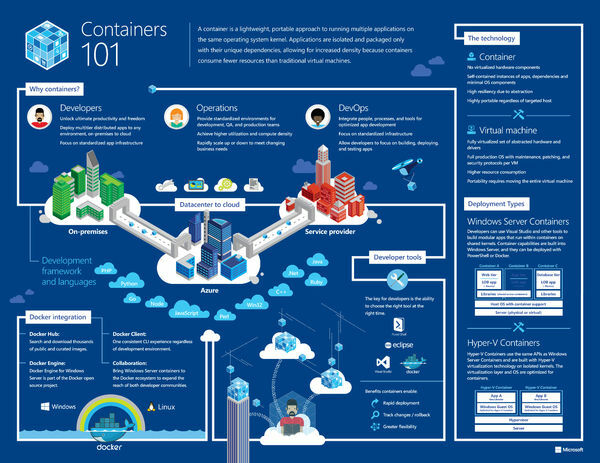 We're adding a new base image to the Windows Server container collection. In addition to NanoServer and WindowsServerCore container images, the new Windows image is now available. This image carries even more components than its NanoServer and ServerCore siblings, meaning it can support applications that have additional API dependencies. 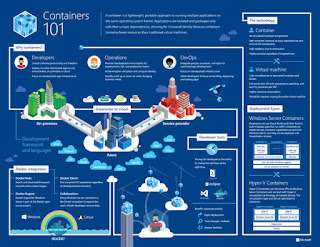 To learn more and get started, go to https://aka.ms/windowscontainer. Windows Server vNext Semi-Annual Preview The Server Core Edition is available in English only, in ISO or VHDX format. The images are pre-keyed - no need to enter a key during setup. Microsoft has released Windows Server 2016. In addition, System Center 2016 also hit GA. The new Windows Server 2016 was launched on September 26 at Ignite conference in Atlanta, along with System Center 2016. Why are there two Hyper-V PowerShell modules in Windows 10? Do you have the right updates on your Hyper-V Cluster? Microsoft released Windows Server 2016 TP4, making lots of exciting new features available to the public. How to access all the different versions of free Hyper-V Server and Windows Server Core if you need to maintain older versions on site? Managing everything from a command line is very time-consuming. 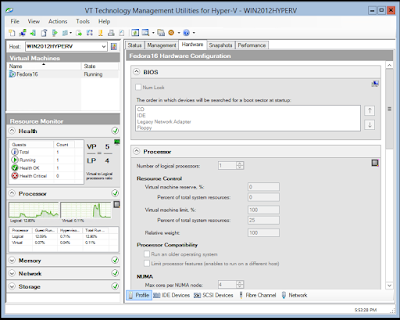 The easiest way to manage multiple versions of Hyper-V is to use vtUtilities. vtUtilities support multiple versions of Windows Server which means you can run WinServ 2016 TP3, WinServ 2008/2008R2, WinServ 2012/2012R2 side by side. One of the greatest advantages of vtUtilities is that you can manage Windows Server 2008R2/2012R2 as well as Windows Server 2016 (now available as Technical Preview) from Windows 10 as well as from Windows 7 and Windows 8. Please note, what Windows Server 2016 is still under development and thus technical support is not available for this version of Windows. vtUtilities present a number of capabilities what go far beyond the basic maintenance tasks such as creating or removing virtual machines and managing them locally and/or remotely. The tool offers a unified GUI console that provides centralized administration of Hyper-V hosts, virtual networks & clusters and can replace such tools as Hyper-V Manager, Failover Cluster Manager, PowerShell and RSAT. vtUtilities can be installed locally on Hyper-V host allowing to troubleshoot and fix network connections and related problems what cannot be resolved via remote management. 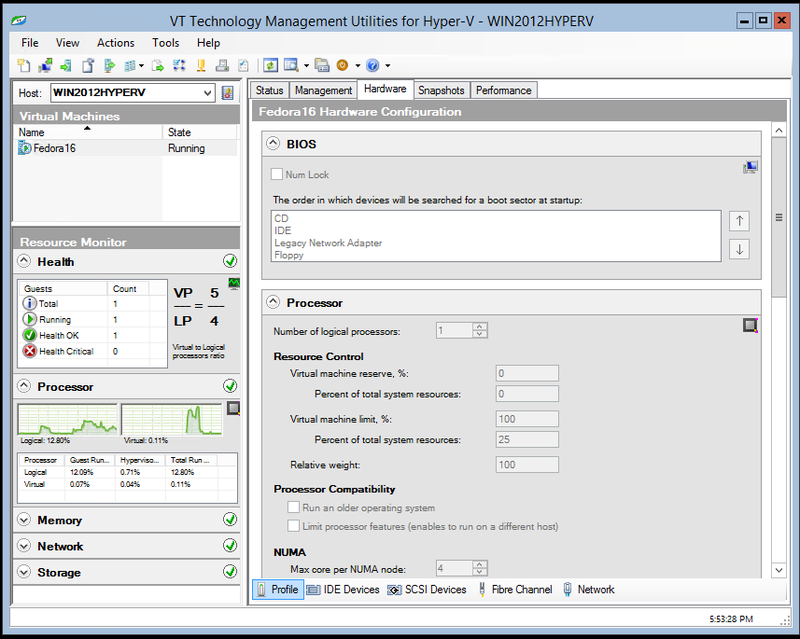 The latest version of vtUtilities features a GUI with integrated Cluster Management. Virtual Machines result view in vtUtilities Cluster Manager displays a list of all VMs configured for high availability with a possibility to start/stop a corresponding cluster node, move VM or its storage to a different cluster node, configure (add) another VM from any cluster node as highly available or remove cluster role for highly available VM. The product requires a 64-bit versions of Windows 7, Windows 8/8.1 or Windows 10 and any version of Windows Server you're intending to use: Windows Server 2008 R2, 2012, 2012 R2 and the latest Windows Server 2016 TP3. vtUtilities also can be used on 64-bit versions of Windows what don't support Hyper-V role. Other prerequisites include x64-based processors and .NET 3.51 or later. See our getting started guide for instructions. One-time fee $120 for a permanent license.